Songbook 2015 – Boys, keep on singing! In over 15 years of experience as a conductor of Stadsjongenskoor Oldenzaal, Mariette Effing collected a large number of songs for boy’s and young men’s choirs. During her ongoing search, she discovered that, although there are enough new pieces written for children’s and youth choirs, most of these are aimed especially at girls. 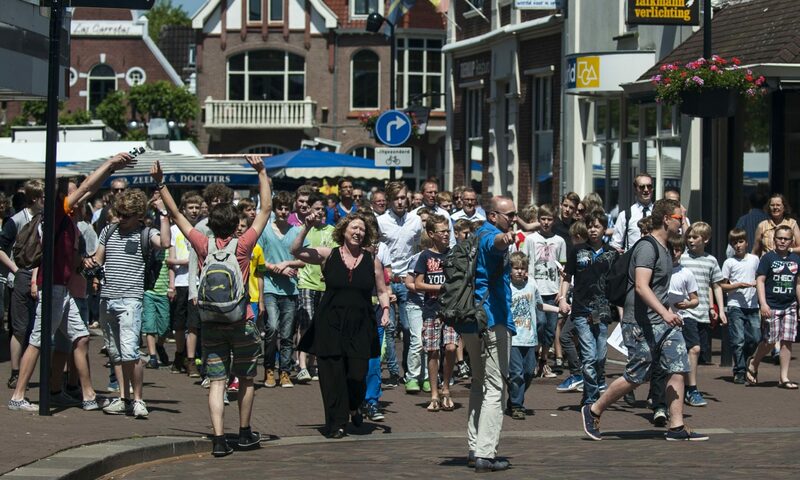 As part of her project Boys, keep on Singing!, set up for the occasion of the one hundredth anniversary of Stadsjongenskoor Oldenzaal, she asked six composers to write new songs especially for boys and young men, and organized a composing contest for young men’s choir. Next to that, she asked various experts to provide input for a songbook exclusively for boys, young men and male choir. Her starting point for this project were the six age groups of Stadsjongenskoor Oldenzaal. All this resulted in a more than 100 page songbook with 33 songs for boys between 8 and 21 years of age and over, including no less than 11 brand new compositions.